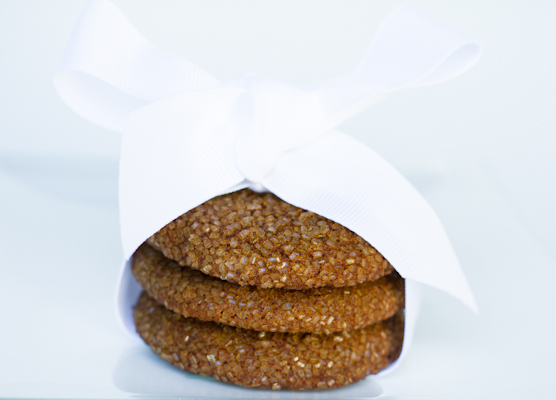 Don’t these gingersnaps make you drool? I’m drooling looking at them now. So, I decided that I wanted to make a pumpkin pie…with gingersnap crust (Rightfully named the Gingersnap Pumpkin Pie…recipe coming next week). Logan and I own a Saab. Logan takes the trusty Saab to work. I stay at home all day…which I love. I love being a homemaker and chocolate & carrots extraordinaire. Anyway…long story short, I have no transportation. Inevitably, the time when I forget an ingredient for the cookie, pie, pastry, etc that I’m in the middle of making, occurs right in the middle of the day…and no car. Of course. Because of this, I’ve had to learn to be very organized (which I pride myself on being, most of the time. My sisters with which I shared a room for 22 years can vouch for that…I’m a bit of a perfectionist…but sometimes forgetful…in the instance of the forgotten ingredient). This time, I was not going to postpone making the amazing Gingersnap Pumpkin Pie. 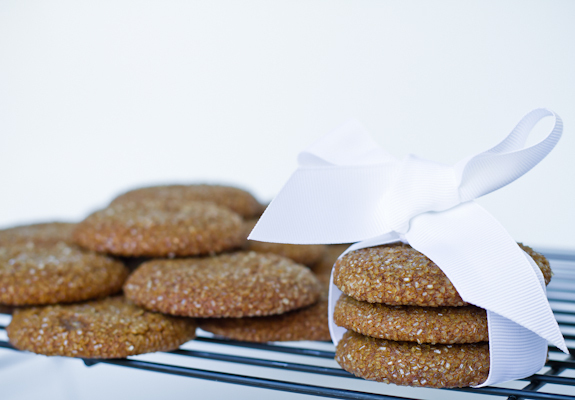 Instead of going out to the grocery store to buy gingersnaps, why not make my own? In a small bowl, combine the flours, spices, baking soda and salt. In a larger bowl, mix the butter, brown sugar, molasses and vanilla extract with a hand mixer. Add the flour mixture into the sugar mixture and mix until completely blended. Cover and chill in the freezer for an hour until firm. Spray a little pit of cooking spray on the palm of your hands and roll out the dough into 1″ balls. Roll the balls in the turbinado sugar and place on a greased or non-stick foil covered baking sheet. Cool for 2 minutes on the pans or on the foil. 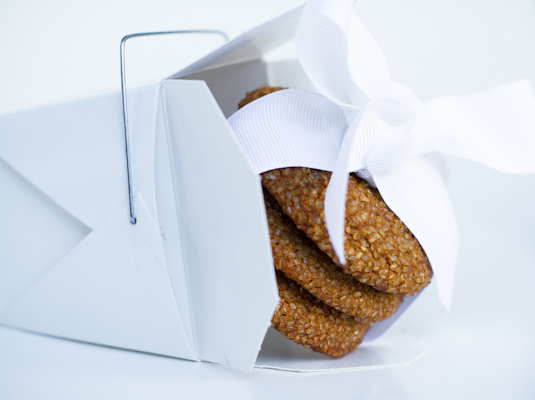 Transfer cookies to cooling racks and let cool…enjoy! These look great. I love the sugar coating on top. It really brings the sweet side to match the spice. 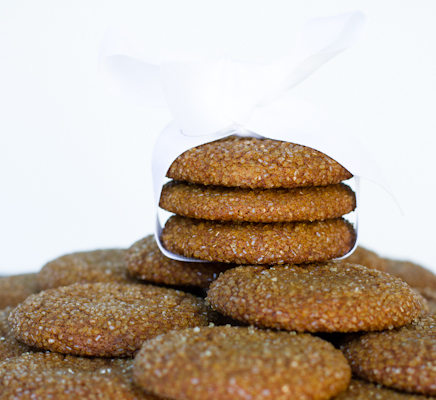 Yes your ginger snaps have made me drool, to the kitchen I go, I must have some ginger snaps!!! Please do! They are worth it. So good!